Mind Control Through Religion in the Draco Empire. After the latest testimony from Secret Space Program insider Corey Goode, in regard to the Preadamite refugees that came to Earth 55,000 years ago, allegedly had a huge influence on the cultures that formed afterward. Could the following be considered an historical account of their activities? The first religion on Earth was the Reptilian belief system brought by the colonists of Lemuria. Their religion believed in a God-Mind that contained a hierarchy, or caste system. This caste system was extrapolated to the several Reptilian species incorporated into the Draco Empire. Each species had its own place in the structure of their society. Every individual knew its functions and respected these boundaries. To violate these rules meant death. The Reptilians operate as a group mind, meaning that no single Reptilian can make a decision for itself. Only the upper caste, or winged ones, have the semblance of individuality. They were, and are, the leaders. 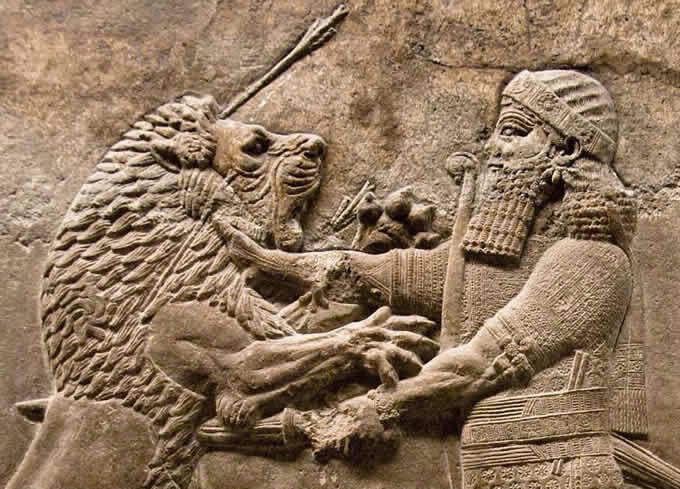 When this religion was brought to Sumeria, the caste system was infused into society as a religious hierarchy. 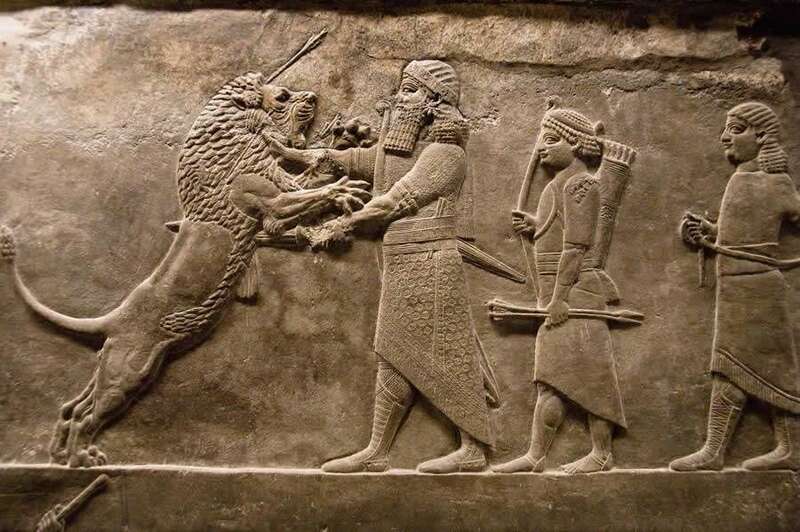 Remember that the colonists of Sumeria were refugees from Lyrae/ Mars/ Maldek. They, like the Atlanteans, maintained the original belief system of the Lyraen culture. The Lyraen belief system encouraged individuality, as well as promoted service to others as a pathway to self-growth. The Lyraens believed that red-haired people were connectors to God-Mind, and as such, used them as oracles. The Reptilians worshiped the transparent beings from the astral planes as their creators. The transparent beings have a mass consciousness, like an Oversoul. They are basically genderless, although in terms of physical reality, their characteristics and traits render them more masculine than feminine. When the Reptilians brought this religion to the Sumerians, they were careful to introduce it in a way that would be accepted and followed. First, they created a gender base for a gender-minded population. Then, they instilled fear to control the mind-patterns. Cleverly, they devised a religion based on a male-female, god-goddess control system. The male god was called Nimrod; the female goddess, Semiramis. 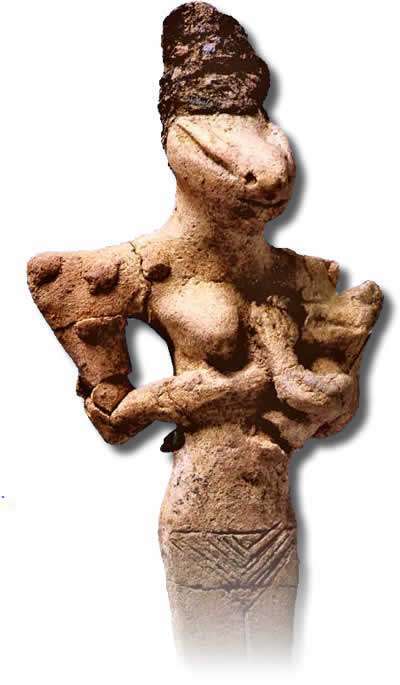 They are depicted as half-human, half-Reptilian. Their appearances were designed to frighten the humans into submission. Nimrod and Semiramis eventually became the Osiris and Isis of Egypt, and the Apollo and Athena of Greece, among many other gods. All used the male/ female, god/ goddess theme because it represented the original Reptilian androgyny and the separation of the human prototype into the male/ female, Adam/ Eve. Because of the “masculine” tendency of the transparent people, and despite being androgynous themselves, the Reptilians prefer the powerful male over the female. 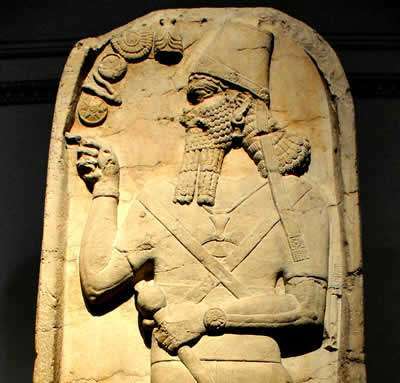 They represented their androgyny in Sumer by placing three horns on the Reptilian God, Nimrod. Thus, the number three was an important symbol to the Reptilians on Earth. They represent this in many ways, including the lily, or fleur-de-lis with its three points. They also use the scorpion with its stinger and two piercing claws. The advanced version of the scorpion is the eagle, which represents the scorpion in its higher form. Because of this, the eagle came to represent raising from a lower form to a higher one. It represented power and globalization. Because it was a bird of prey, it was able to capture everything beneath it, especially live food. 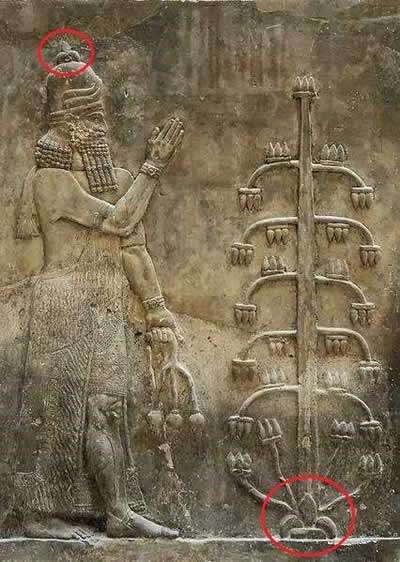 Sumerian Figure 5000 bC – Reprilian? For these reasons, the Romans always used an eagle on their staffs whenever they marched into a city or country. Most people do not realize that all birds are descendants of Reptilian dinosaurs. Many corporate logos and superheroes of today have wings attached to them. 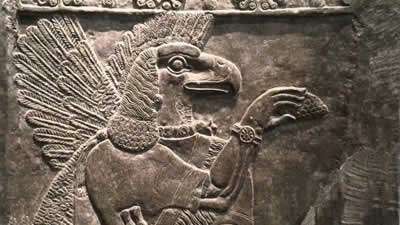 The wings also represent the winged Reptilian leaders in the upper echelon of the Reptilian/ Illuminati flowchart. Half a continent away in China, the remnants of Lemuria created a male-dominated Empire system. Here, the male Emperor would always have a Empress. The people were told that the Emperor and Empress were descendants of the Sun-God. The symbol of the Empire was the dragon, another Reptilian figure. This “royal” family created a dynasty that ruled tight-fisted for millennia. The Chinese Reptilian religion spread across Eastern Asia, while the Sumerian version meandered through Central and Western Asia. The spread of these religions was intentionally controlled from the underground Reptilian population, primarily centered under Tibet. Looking at a world map, one can easily see that this is the best underground base location in Asia to reach all areas of the continent. These Reptilians were aided by beings from Sirius B who developed the Buddhist philosophies, as well as a group of renegade Lyraens trying to reproduce a Lyraen civilization under Reptilian control. Strange bedfellows! At the same time in India, the Lemurian Reptilian refugees created a caste system that was a direct replica of the Reptilian hierarchy, from the lowly workers/ untouchables to the Brahmin/ winged ones. This Indian/ Reptilian culture remained localized, writing the ancient Vedas and building temples to the various Reptilian gods. Meanwhile, the Egyptians, who were Atlantean/Lyraen refugees, were in the process of building a new civilization from the remnants of their two major ancestral ones that were destroyed. 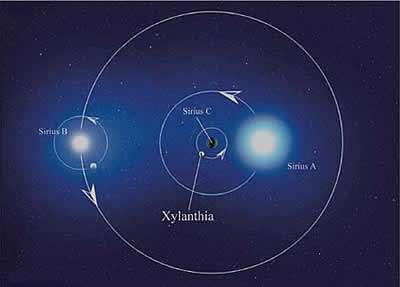 The beings from Sirius A helped them, as they were a major factor in the interactions of Atlantis. As previously stated, in Egypt, the Reptilian gods were known as Osiris and Isis. The Egyptian panacea of gods included a large variety of hybrid creations, half-human, half-animal. This was reminiscent of the Atlantean hybrid experiments that found their way into Egyptian culture, and was promoted by the Sirians who were preparing that culture for a Reptilian takeover. The Atlanteans were so entrenched in the original Lyraen belief system, that it took several millennia for the Reptilians to get a stronghold in that culture. Now that the remnants were scattered over the Earth and non-cohesive, it was easy to send in infiltrators (in-full-traitors) to sway the belief system toward a Reptilian flavor. This began with the introduction of the cat as a focal point of worship. In the Sirius A star system, the main world is called Khoom. The ancient name for Egypt is Khem. There is also a correlation with Mexico. Some researchers say that the Bay of Campeche translates to the Bay of Old Egypt, indicating a connection between Egypt and the Yucatan Peninsula. This is not so. Sirians who interacted with Atlantis named this area after their home world, and then carried the name on to the new refugee culture in Egypt.